It probably won't be a surprise to you that I am a big fan of Kirstie Allsopp. I have always enjoyed a bit of Location, Location, Location and Relocation, Relocation. 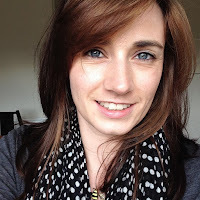 When Kirstie ventured into the world of TV shows demonstrating her love and enthusiasm for crafting and 'handmade', I couldn't help but identify with her. Mostly the way she gets overly excited and enthused about the tiniest (but pretty/cool/lovely) things. It is very much like watching someone imitate my reactions! 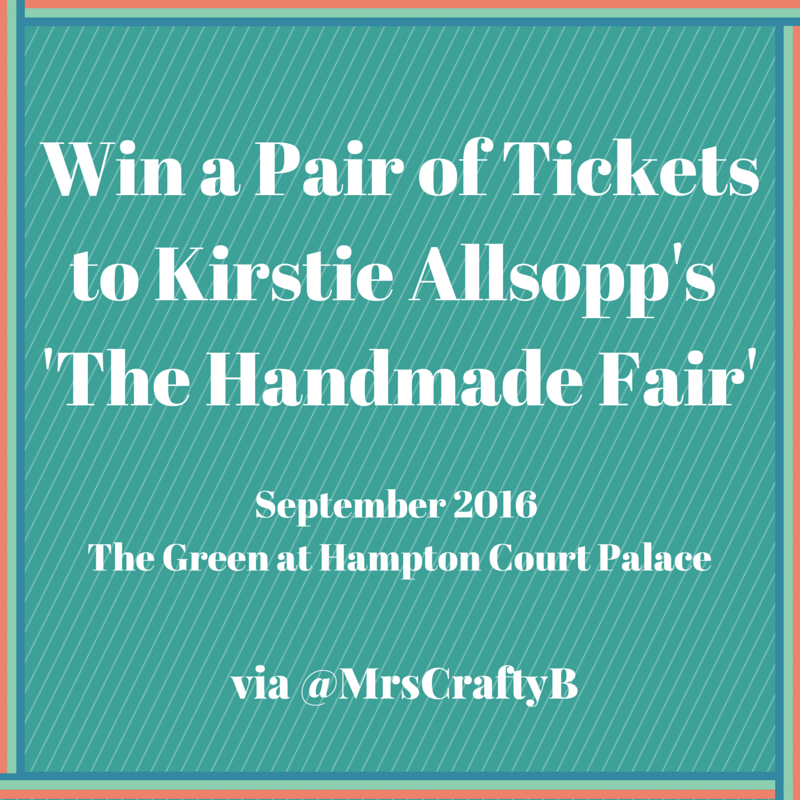 This September, I will be heading the The Handmade Fair to indulge in all things crafty and, well, handmade. 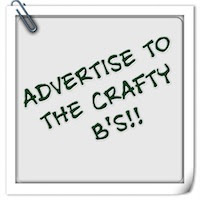 You #CraftyBs can join me by getting your discounted tickets by using the your very exclusive #CraftyBs code which is valid until the 31st August 2016. Whilst you are here though, you may as well enter our giveaway to win a pair of full experience tickets! 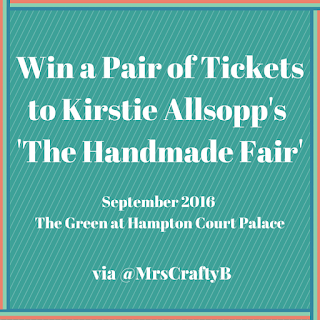 Right here on the Mrs Crafty B blog, you can win a pair of tickets for any of the three days of the Fair this September. Enter using the Rafflecopter widget below to be in for your chance of joining the handmade and crafty fun on us! Entries close on July 31st and the winner will be picked on August 1st. What are you waiting for?! Don't forget to join in with the linky this week. What's your favourite thing that you have made? 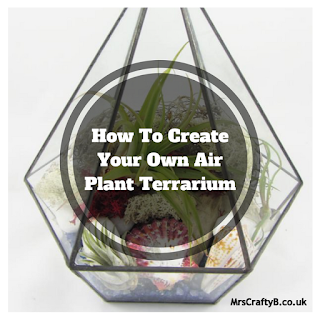 Have you ever tried any of Kirstie's craft projects? Do you love to make things for your home? What is your latest DIY project? Have you ever been to The Handmade Fair? - Place the #MakingHome badge to the bottom of the post you are sharing (or in your sidebar) using the coding under the image below (get in touch if you have trouble). This helps to direct readers to all participants in the link up. - Add your link via the blue button at the bottom of this post. Just click 'Add Your Link' and follow the instructions. Your post can be recent or past and you can link up more than once; please just remember to use the badge. You can link up from Friday until Tuesday. - Visit AT LEAST the two posts in front of you (and as many of the others as you can or would like to). Maybe offer up a comment or two so that we are all feeling the #MakingHome love. Don't forget to include the hashtag so they know where you are visiting from. 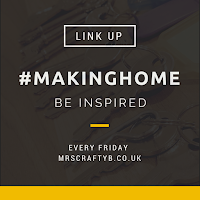 - Find Mrs Crafty B on Pinterest to be added to the #MakingHome board. You can pin your posts there too! - Sign up to receive a reminder when #MakingHome goes live. I would definitely be entering if I wasn't already going. I can't wait. Looks set to be a great time. Are you going again? I am so excited. What a great linky and have an amazing time at the show! It sounds fantastic! Great giveaway! Thanks! And I hope you have a fabulous time! !